We hope you enjoy this contribution by our friend Steve Beck. Steve is CODA, LLC’s Principal of Architecture and licensed architect in Illinois and Michigan. Beck co-founded CODA, LLC, a real estate / architectural/ master builder firm, in 1998, with fellow Illinois Institute of Technology alum, Scott Krone. 1,000, East of Springfield. He earned a Bachelor of Architecture degree from the Illinois Institute of Technology. Grace Lutheran Church’s Troop 66. Learn more about CODA, LLC at www.codallc.net and on Facebook. Not so long ago our immediate concern would not likely be how to make a home more energy efficient. Things have changed and some of the important concepts I learned at Chicago’s Illinois Institute of Technology are much more pertinent. Clients are more concerned with solar orientation, efficient planning, technology, and materials that relate to energy efficiency. These client concerns are affecting professional organizations, manufacturers, trades and creating a demand for new businesses. The CODA, LLC design | build team is encouraged by the number and quality of suppliers, materials and subcontractors, coming on-line, capable of contributing to our EcoBUILD Program. 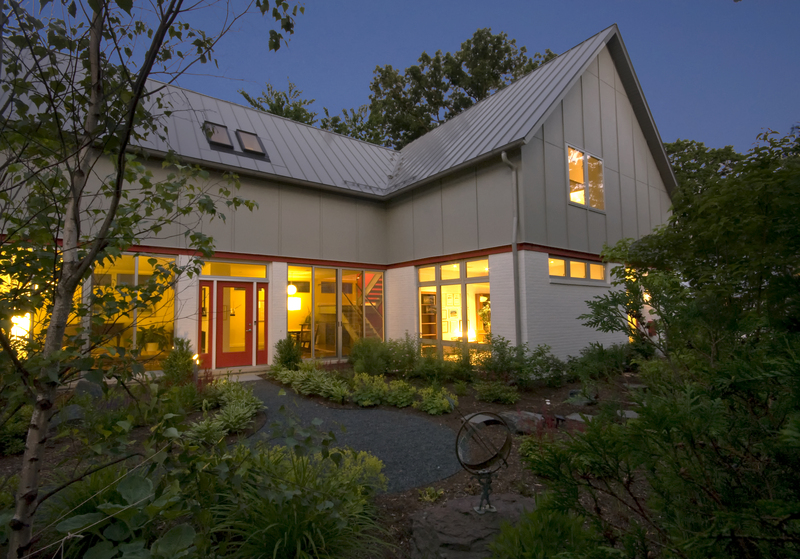 These were all factors in EcoBUILT | 631, a home we designed and built in Wilmette, winning a 2010 Green GOOD DESIGN Award – “Blazing a new path toward a sustainable environment with new buildings”. Even 5 years ago, there are aspects of this home we could not have considered due to cost or availability. For those who may not be aware, GOOD DESIGN was founded in Chicago in 1950 by renowned architects Eero Saarinen, Charles and Ray Eames, and Edgar Kaufmann. The award is administered by The Chicago Athenaeum: Museum of Architecture and Design and The European Centre for Architecture Art Design and Urban Studies. Members of The European Center’s International Advisory Committee, worldwide leaders in the design industry, served as jury. In 2008, The Green GOOD DESIGN Awards were introduced. In 2010, the Green Good Design Awards received thousands of submissions from more than 40 nations. EcoBUILT | 631, built through our EcoBUILD Program, was one of only two homes awarded in the United States. The intent of our EcoBUILD Program is to: A) Reduce demand on water, B) Reduce demand on energy resources, C) Rely on recycled materials, D) Create a healthier interior environment, and E) Create positive site stewardship. To that end, for EcoBUILT | 631, low water consumption fixtures and appliances were chosen. Energy Star appliances – including an induction cook top, energy saving light fixtures, high efficiency water heater, sun shades, a photovoltaic array, and geothermal heating and cooling systems were all incorporated. The siding panels, windows, and tiles are all fabricated with recycled materials. In addition to a fireplace that does not emit carbon monoxide, anti-microbial counters and cabinets manufactured to reduce off-gassing of volatile organic compounds have been included to create a healthier interior environment. Finally, with respect to site stewardship, a Fertigator lawn irrigation system was installed to assist with water conservation. Unlike some of our clients who opt to mask their home’s progressiveness, the client for EcoBUILT | 631 chose to highlight the systems and materials. The second floor exterior is composed of concrete fiber cement panels and a reflective aluminum standing seam roofing. The qualities of pre-engineered wood framing components are utilized to provide large, full-height windows and an open first floor plan. The vaulted bedrooms are insulated with spray foam insulation and the ductwork is exposed in the space which eliminates heat loss into a typical attic. As we work to reduce demand on energy resources, through our EcoBuild Program, we look for new resources, such as ComEd’s Home Energy Reports program. Unfortunately EcoBUILT | 631 is not part of the program, but another home, EcoBUILT | 1500, is. This home has proven to demand 53% less electricity than its neighbors and 31% less electricity than its most efficient neighbors. This amounts to as much as $759 of savings a year. Considering the steps taken at EcoBUILT | 631 to save and produce electricity on-site, a dramatic savings is likely when ComEd provides its Home Energy Report. We look forward to sharing ComEd’s findings when they become available. We can, meanwhile, report what the owner tells us: “We do not experience the temperature fluctuation we have become familiar with in our past houses.” We contribute that to the tight enclosure and the multi-speed systems incorporated into the design. EcoBUILT | 631 has improved the daily life of the client while decreasing their demand on resources. CODA, LLC could not ask for more than this!